District 21 – August 2011 – Lincoln Nebraska A.A.
12 Traditions read by Jeremy E.
Intergroup Liaison Report (Emily S.). Emily attended. PIPCP is requesting but not sure how much, will happen next month. Hotline report was given, still trying to figure out what to do with the overabundance of money. Treatment committee is functioning. Approx 10-15 were in attendance. Meeting visits; discussion w/ Lincoln DCMs, discussions w/ Area Committee chairs about voting items, district boundaries. Visited women circle of friends and young peoples. Pocket of Enthusiasm (Steve U. ): Have a class on Wednesday so will not be attending the meeting, speakers are lined up and everything is going well. Sufficient Substitute (Sam R.): Area 41 treasurer notified as checks are not being cashed, when discussed that the check that was from last year and stop payment was placed, and now can’t find the current chair. They will not refuse to send to Area until discussion with chair. All going well, great speakers. Women’s Circle of Friends (Jennifer R): Still have good flow 20-30 in attendance, have a person willing to step up to be a GSR (Greta ) and will be willing take spot if Jennifer steps up to alt DCM. Young People’s (Jeremy E.): Doing fine, we keep doing the same 30-40 in attendance. Speaker is last Friday of the month. Cafeteria Group (Tom B. ): Attendance 40’s doing well. Should note good speakers lined up, Sam will be speaking next week. Setting good for speakers but new speakers are always welcome. Several did mention willingness at the picnic. Spiritual Actions (Emily S.): Things are going well, approx 40-60 in attendance. It’s all good. Seeking Solutions (Jon R.): Doing real well, average 70-80 in attendance. Oct 1st will be having a service workshop. Seems to be a need in committee participation, at 10:00AM Saturday. The Steps We Take (Linda S.): Stays the same, which is good. Feels much stronger at the new location. People seem more comfortable. 10-20 in attendance. Some new people are always in attendance. Sam: Sand hills keep in spirit of rotation, for both ends of the state. Tom: Who long has it been since it’s been in the Sand hills? It has been 3 years, and before that Grand Island. Areas should also notify groups regarding choice and cost of said choice. Voting will be simple majority by location. 2. Unity Picnic recap. 40 – 45 people in attendance. Was great, lessons learned: make it a picnic, offer food, and gets lots of speakers who might bring extra people. Cost was 145, budget was 150. Feeling is that it’s worth doing again. Parks and Recreation was really great to work with. 3. Open position, alt-DCM. Jennifer R is willing to stand for this position. 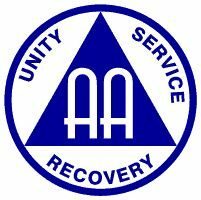 Her group has elected a new GSR in her place, she has over 10 years of sobriety, and is very active in AA. All were in favor. Jennifer is new alt. GSR. early shift. Schedules to be done behind the scenes. 5. District boundaries agenda item submission: GSRs should talk to their groups about this, to get a consensus about whether they would support this, and be prepared to vote on whether to support the submission at next District meeting in September 18th, 2011. Amy gave each GSR three copies of the before and after maps as well as one copy of agenda item to share with their groups. Amy will consult the groups who do not currently attend District meetings and thus, do not know about this. Discussed the possibility of a 4 districts workshop. Delegates report needs to be scheduled. A picnic was suggested. Amy will find out about delegate’s availability in upcoming months.